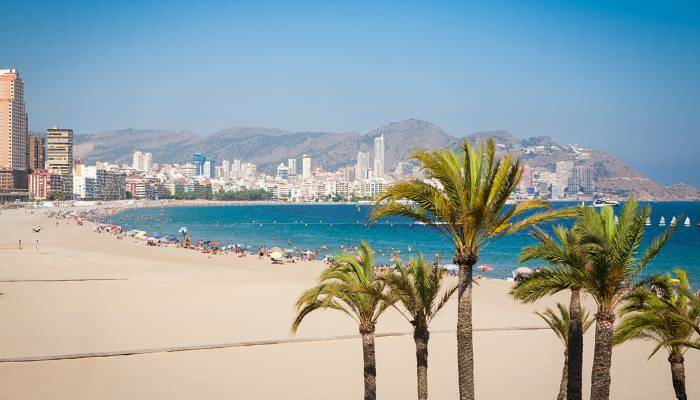 Which Benidorm Beach is Best for You? 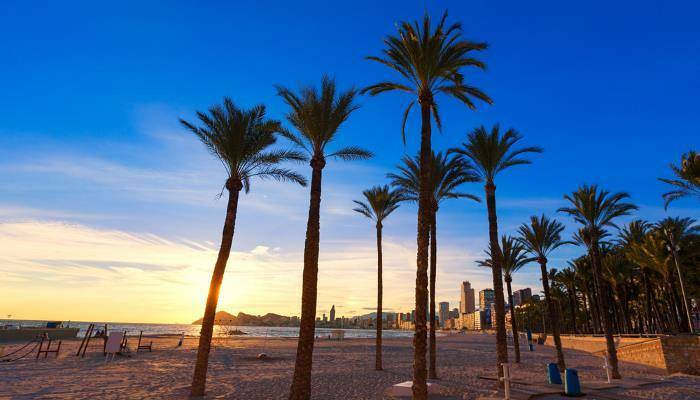 Sunny Benidorm is well loved by Brits, and it’s not hard to see why when there are a whole host of restaurants, cafes and bars to sample and a selection of golden beaches to lay a towel down on. Your most pressing decision on a holiday to this part of Costa Blanca will be which beach to choose – here we bring you a guide to what each beach has to offer to make that decision that much easier. Levante Beach is backed by restaurants, bar and clubs meaning that the atmosphere here is lively. The Tiki Beach Bar has rave reviews, and allows holidaymakers to drink bargainous cocktails al fresco, overlooking the sands of the beach. For something a little quieter head to the Caterpillar Beach bar, which also boasts great views and competitive prices. The beach itself has soft fine sand, and a gentle slope into the sea making it a great spot for families whose children are excited to toddle around in the shallows. The lifeguards who oversee the beach daily lend an aura of safety here, but it’s a great place to swim regardless! There are a whole host of watersports on offer meaning that if you love to spend your holidays with your adrenaline racing, you can do so. Try your hand at waterskiing, jet skiing, and cling on to a banana boat for dear life – Levante Beach has it all. In peak season, this beach gets incredibly busy but there are over 5,000 loungers, enough that there’s always an opportunity to bag a spot to lie back and relax in. If Levante Beach was a rebellious teenager, Poniente Beach would be its older, wiser sister. Relaxing on the pristine sands of Poniente is a more sedate affair – it’s a great place to escape to with a book to while away an afternoon or two. All three of Benidorm’s beaches are Blue Flag awarded – an award only granted to beaches which are incredibly clean and with good water quality. However, at Poniente, it is arguably, easiest to appreciate how beautiful these sands truly are. 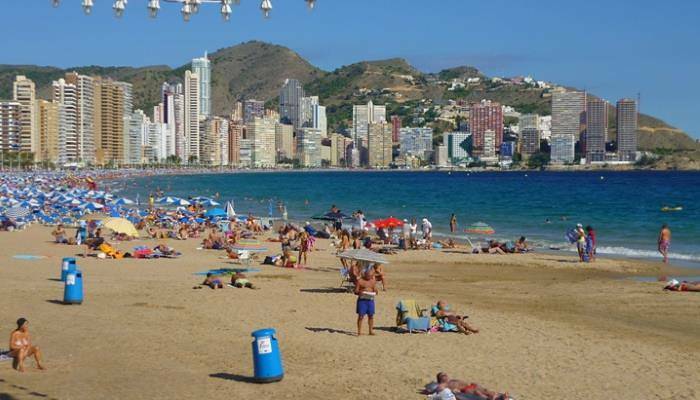 It attracts a more Spanish led and slightly older crowd, and whilst there are still sunbeds aplenty there is more room to move here (it is Benidorm’s longest beach and has far less loungers) meaning that you can appreciate the sand underfoot, and the clear waters to splash about in. This a great beach from which to snorkel, with often calm waters to swim about in. Everyone will at some point in their lives encounter that awful moment on holiday when you realise that you just did not bring enough books. To counter the pain of a day at the beach without a novel in hand, head to one of Poniente Beach’s two beach libraries where you will be able to pick up a new book and meet lots of like-minded holidaymakers. There are no secret beauty spots in Benidorm, but this is as close as you will come to that. Mal Pas Beach in Benidorm is the smallest of its Blue Flag awarded beaches, but for that reason is often overlooked for its larger rivals. This beachy cove is nestled in between the harbour and the cliffs upon which the castle perches giving it something of a prime location. There are no watersports in this secluded bay meaning that swimming is the priority here, so bring your sunglasses and your swimsuit for a day of absolute relaxation. Those looking for a little more activity, and a little less relaxation will appreciate the volleyball courts here allowing you to leap away to your heart’s content.